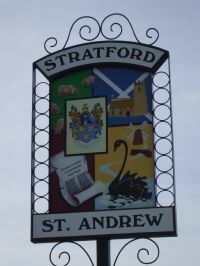 The two villages of Farnham and Stratford St Andrew straddle the A12 approximately 20 miles to the north of Ipswich and two miles south of Saxmundham. There are 49 properties in Farnham with 93 people on the electoral register and 77 properties in Stratford St Andrew with 151 people on the electoral register. If you would like to contribute to the web-site, please Email Us. Here are some important dates relating to the consultation. The parish council encourages all residents to respond to the public consultation. You can let us know what you think by emailing the clerk. Our response will be posted on this website when it is sent.